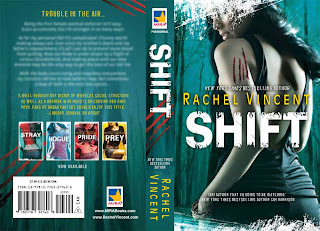 The cover of Rachel Vincent 's Shift! Release date: November 24, 2009! You can now find on my sidebar easy links to this feature from #1! I love the Shift cover, it's my new favorite. 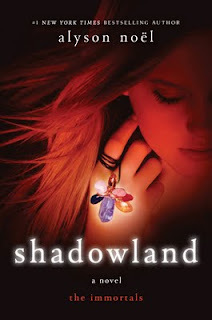 Shadowland is pretty too though I haven't gotten into the Immortals yet. Thanks for your comment regarding my post at The Story Siren - glad you enjoyed it! I saw the new cover to Rachel Vincent's book the other day. Very cool! I have these books but I haven't read them yet. I should probably get on that. She has 1 more coming out and that's it for the series (6 books total). And I like the cover to the Immortal Series, but I haven't read them. I keep hearing they aren't the best. I'll have to read the first one and see. Confession time: I did NOT like Evermore at all!! I dont even want to read the second one!